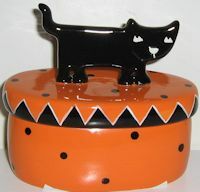 This ceramic Halloween cat box holds a black candle. Remove the top to use the candle. 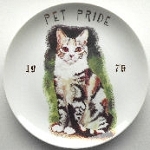 The oval shaped ceramic box is 4" wide x 4" high x 2 1/8" deep. New. Unused.